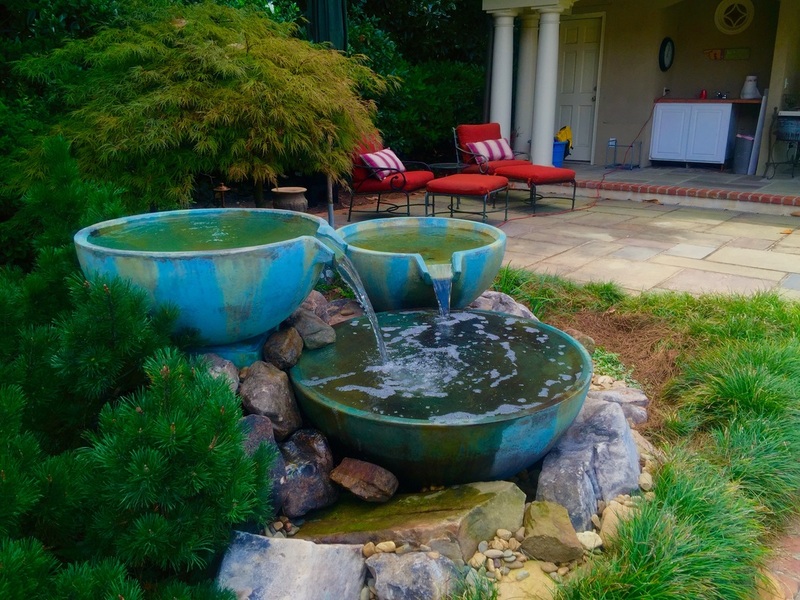 Landscape & Garden Fountains provide homeowners in the Alpharetta, Fulton, Duluth & Gwinnett County in Georgia (GA) areas with a unique and creative way to decorate their outdoor living space. Many homeowners desire the soothing sounds of running water, but are just not ready to take the leap for a larger koi pond or waterfall. Do you have a spot in your garden leaving you without ideas about what to put there? Maybe it’s a shady spot where grass struggles to grow. Perhaps the soil isn’t the best for nurturing healthy perennials and annuals. Or maybe you’re just interested in attracting a few more birds and butterflies to that location. 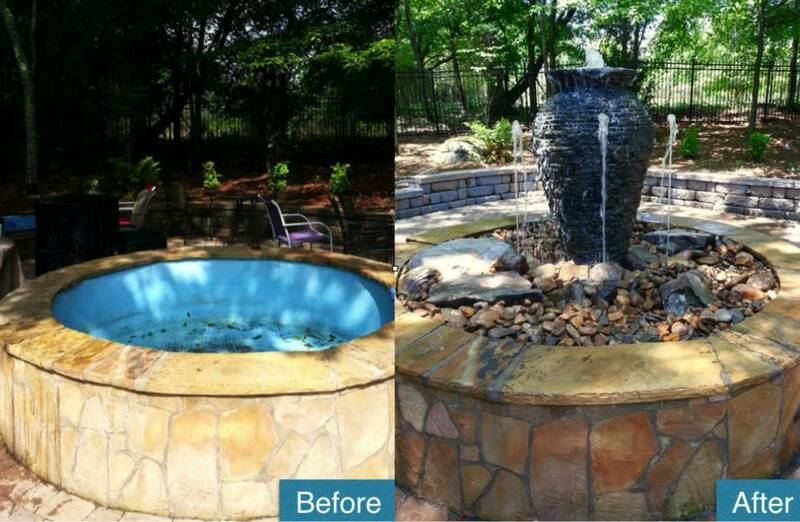 Aquascape Spillway bowl fountain installed in a Norcross, GA backyard patio. There are three main types of fountains that we install. Stacked Urns, Spillway bowls and real rock Basalt Columns. Check out our complete picture collection of different types of fountainscapes that can be installed into your landscape.